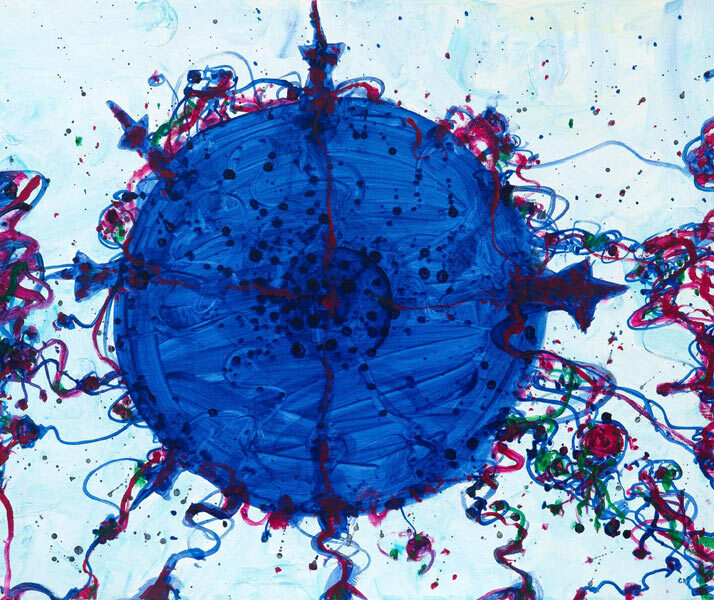 John Olsen Just released his fine art print titled Barcelona Squid Ink 2018, an edition of 35 only hand signed John Olsen, numbered, titled, stamped with the Kookaburra logo in the corner is available at Etching House fine art prints. Barcelona Squid Ink 2018 print has a paper sheet size of 54 x 60 cm, Image a printed image size 42 x 50 cm. This John Olsen print is made on pure Hahnemühle rag mat paper, using fine art archival Japanese pigment ink. Lay Buy is welcome on Olsen’sprints of Barcelona Squid Ink with 20% deposit and 12 months to pay at Etching House.